I hope you're having an incredible start to the week. Happy Motivational Monday to you! The past weekend has been a rough one for me and no I haven't had a hangover. I definitely haven't felt like myself even though I spent the whole weekend with my boyfriend. It's safe to say I was in one of those moods where I could have slept all day and I wanted to spend the whole weekend in bed, in my pyjamas with no care in the world. However, instead I spent the weekend in my cosy clothes, with no makeup on, my hair up, having naps during the day on my boyfriend's sofa. It's very rare for me to feel like this, but I feel sluggish and I have no energy; what is going on? Although today is a new day and everyday is a fresh start; I'm worried I'm getting the horrible sickness bug that's going round work again; I hope not! It's days like today and the past weekend where you need to remember self care. Doing everything you need to do to provide yourself with lots of care and attention to make yourself feel I guess, "normal" again. Remember this when you're feeling sluggish; Keep going. You are strong and a heck load stronger than what you think. This is just an occasion which is going to fly by. You're not going to feel like this forever. 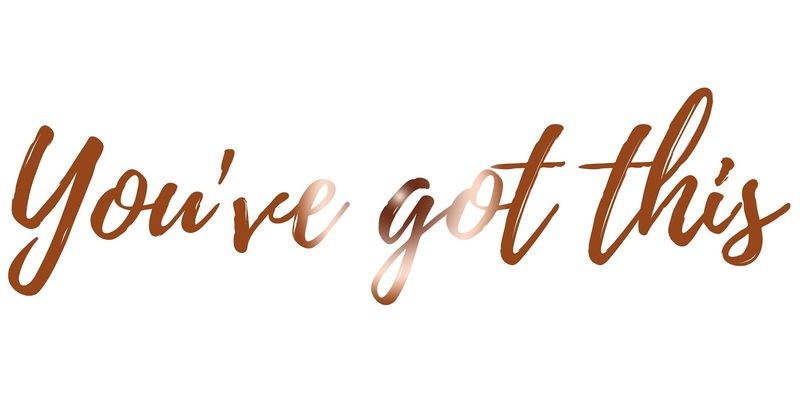 Take care of yourself and keep going; you've got this. Leave a positive comment below and share some love with one another and enjoy the rest of your day. I hope you have a lovely Monday! Fresh new week, a fresh new start! There's so much we can do with it!